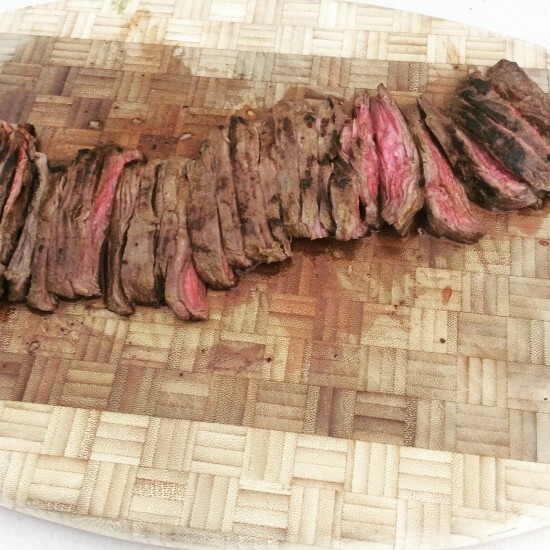 I was at Whole Foods recently and decided to make skirt steak. I have never cooked with it before but I knew I wanted to use a marinade. I wanted it to be light and fresh with a Summer influence. 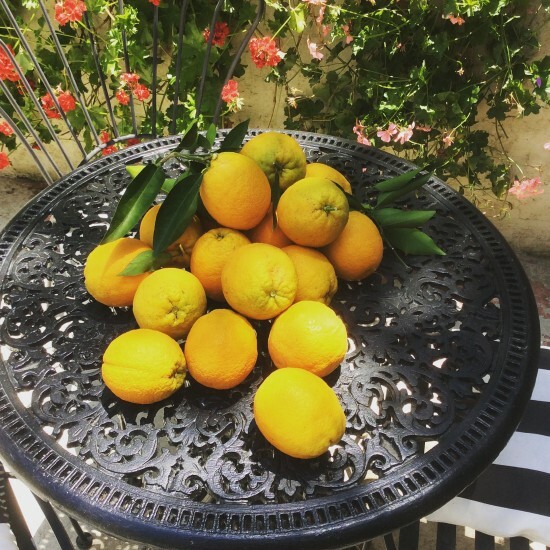 I decided to use the beautiful oranges from my tree and a lemon from my other tree! Gotta love California living’! The secret ingredient to this delicious marinade are the oranges- not just a morning drink anymore! Take a deep pan and sprinkle fleur de sel, cumin and drizzle olive oil at the bottom of pan. Then take an orange cut in half and squeeze the juice all over and do the same for the lemon. 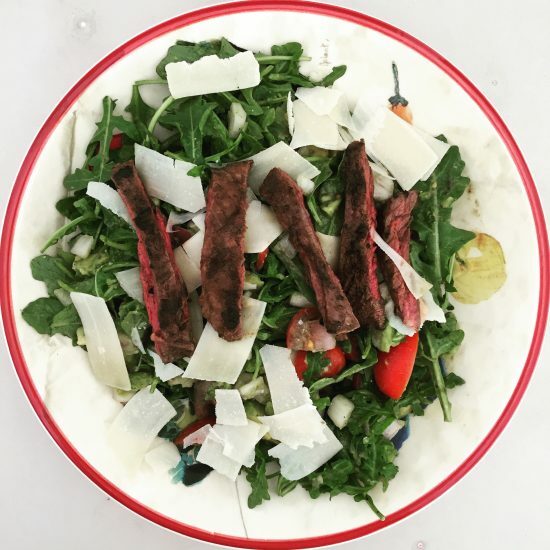 Lay down your pieces of skirt steak and repeat the process on top of the steaks. Cover and place in refrigerator. Important: An hour before grilling take pan out and allow steaks to come to room temperature. Take the other half of the lemon and orange and squeeze all over steaks again. When the grill is hot lay steaks down on each side for about two minutes. Note: I like to marinate for 24 hours but it’s okay if you do the morning of. The longer the marinade, the tastier the meat!